Everyone seems to have this list… whether you want to call it a bucket list, dreams, goals, life list what ever it wants to be called…. whatever it be: I thought I should make mine. I love list. I get so much more done when I have things written down and a visual goal and time frame in mind. I think that we all should have things in life that we look forward to and we work toward. But only if you accomplish them. Otherwise what is the point of making a list? If you don’t accomplish them then it just becomes a list of disappointment and regrets… so lets not let that happen! 3. Build a dream house with my husband. 8. Volunteering time to help someone in need. 9. Would like to volunteer to help build a habitat home. 10. Watch my son achieve his dreams. 11. Make curtains for my living room. (should always have a few easily achievable dreams) I’m going to have to make curtains for the bedroom now! I found a great deal on one’s for the living room! 17. Remodel an old home with my husband. 19. Have a home with a pool house. 20. Give an inspirational speech. 21. Inspire someone to do good. 22. Donate a car to charity. 23. Pay for a strangers groceries. 24. Scuba the great barrier reef with my husband and KeVaughn. 25. 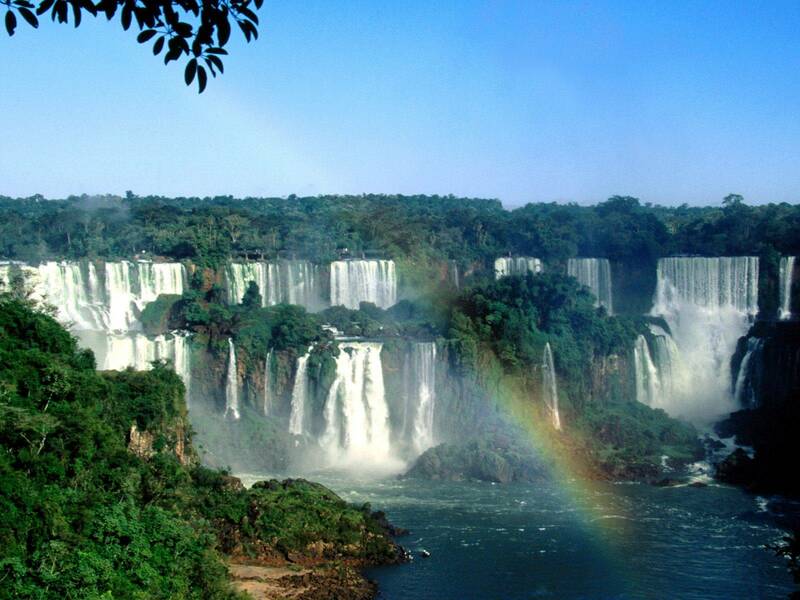 See the Iguazu Falls. 26. I would like to do a European cruise. 27. Run a marathon. a mini marathon. Well, I’m not running but I am walking fast in my first 5k (10-16-10). So, I’m putting my dreams into action! And, it feels good! 29. Sky Dive when I’m 85. 31. Speak another language fluently. 32. Take a photography class. 34. See U2 in concert. 35. Have 6 months of living expense in savings account. 37. Act in a play. 38. Build a set for a play. 42. Grow a vegetable garden, that produces more then one pepper. 43. Backpack through Europe with my son. 44. Go to Rome and see where it all started…. and eat yummy Italian food.. lots of Italian food! I have more, but haven’t discovered them all yet… so I will add as I figure out what I want to do. i love that list! you accomplished #21 by inspiring me to do my own bucket list. and that’s good, right? I don’t know if I inspired you to do good Em. You’re already amazing to me! you inspire me everyday.. you really do. To write. To be a better mom… to not take for granted anything…..